Polymers are useful in many applications ranging from everyday household items to organic electronic devices and functional biomaterials. In every application, it is very important to understand the nanoscale structure and the optimal method of achieving that final structure. Our group seeks to understand the processes and mechanisms that govern the assembly and dynamics of nanostructured polymers and other soft materials. We also develop and adapt techniques for controlling and characterizing these processes. For example, we use recent innovations in advanced optical microscopy techniques to observe materials below the optical resolution limit. 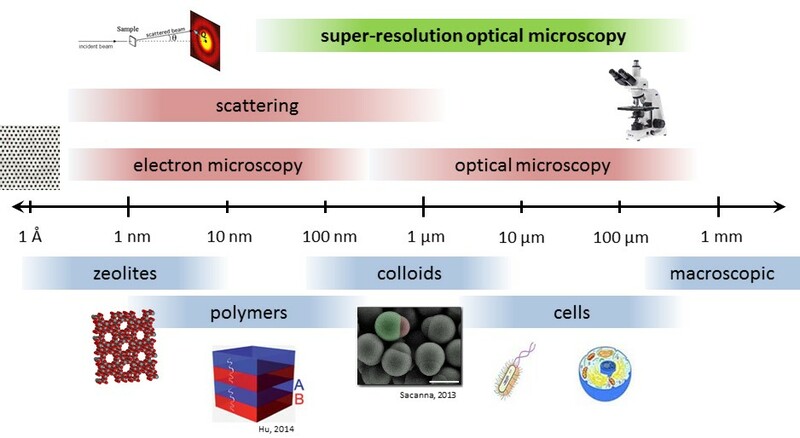 This opens polymer science to the advantages of optical characterization even at the relevant nanometer length scales. These techniques can directly monitor the dynamic evolution of polymer morphology in situ in real time. Our group explores various bottlenecks in our understanding of polymer physics, opening avenues for developing new polymeric materials with excellent nanoscale control and superior performance.